By default an ORM relationship is an array. 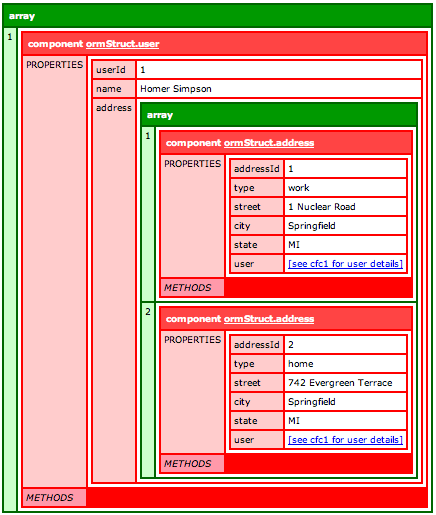 Using a structure (map for non-ColdFusion programmers) is very easy and provides nice options. 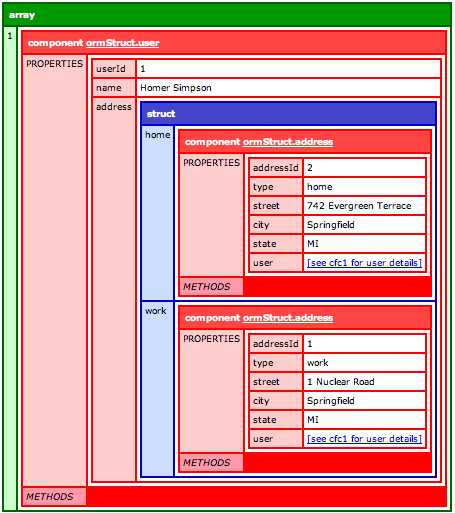 Lets start with a simple relationship between of users and addresses. property name="address" fieldtype="one-to-many" cfc="address" fkcolumn="userId" inverse="true"